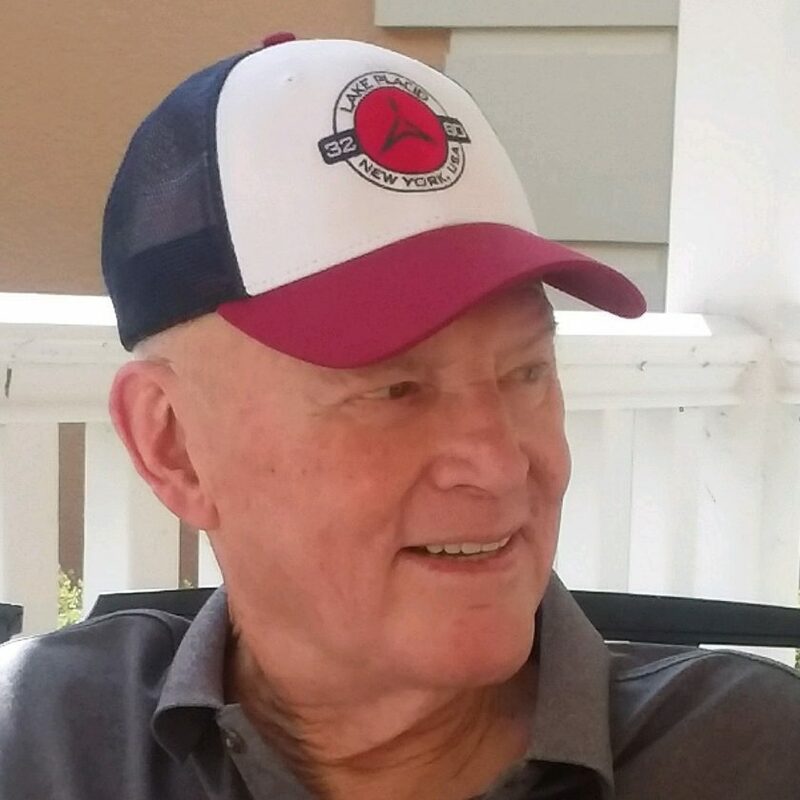 On April 10, 2019, Raymond William Pratt passed away. Ray was born June 5, 1936 to Katherine Manning Pratt and Raymond Pratt in Lake Placid. His mother and stepfather, Roger Senecal, raised Ray and his two sisters, Barbara and Geraldine, all of whom preceded him in death. Ray graduated from Lake Placid High School in 1955. He attended Kimball Union Academy and then enrolled at St. Lawrence University, where he was a ROTC participant. Ray also earned his master’s degree from St. Lawrence. Throughout his youth, Ray played many sports but was most passionate about the game of hockey. His hockey-playing career’s apex was at St. Lawrence, where he played in the NCAA championships three consecutive years. Ray’s hockey team was inducted into the St. Lawrence University Hall of Fame. On Aug. 20, 1960, Raymarried the love of his life, Dorothea McNichol. They have three children, Michael (Sandra), Katherine Hartley (David), and Thomas (Linda) and five grandchildren: Meghan Hartley Hole (Eric), Kevin Pratt, Maura Hartley, Derek Pratt and Alessandra Pratt. After serving in the United States Army from 1961 to 1963, Raymond and Dorothea settled in Ray’s hometown of Lake Placid. Ray taught history and social studies, coached hockey, tennis, football and golf and later served as the athletic director at the Lake Placid High School. Ray also resumed playing hockey by representing Lake Placid as a member of the Roamers. Ray’s hockey coaching legacy was renowned. In 2005, Ray was inducted into the New York State High School Hockey Coaches Association Hall of Fame. In 2008, USA Hockey awarded Ray the John Mariucci Award, which is given to the secondary coach who best exemplifies the spirit, dedication and enthusiasm of the “God Father of U.S. Hockey.” Ray not only had a love for the game of hockey but also a love for his players, many who followed his footsteps into teaching or coaching careers. In 1978, Ray resigned from teaching and coaching to become the director of sports for the 1980 Winter Olympic Games in Lake Placid. After the Olympic Games, New York State created the Olympic Regional Development Authority to manage the venues used during the Olympic Games. Ray became the vice president of events. Under his guidance, Lake Placid was reaffirmed as the Winter Sports Capital of the World. Several years after his retirement, Ray returned to ORDA as a consultant and then interim president in 1994 and 1995. In 2008, Ray was inducted into the Lake Placid Hall of Fame for his positive impact on the community. In 1999, Ray and Dotty moved to Naples, Florida, where they have resided since. Raymond received many awards and honors in his career but his family is most proud of the way he lived his life. He was kind and generous and always full of grace. In lieu of flowers, please donate to your favorite charity or church. A Memorial Mass will be held at 11 a.m. June 15, 2019, at St. Agnes Church in Lake Placid, followed by a reception to celebrate Ray’s life.